If you’re looking to improve your skin, there’s no better place to turn than the wonders of nature. The natural world has all the ingredients we’ll ever need for a top-notch beauty routine—it’s all about knowing where to look. Below are a few of our favorite skin care ingredients found in nature. Your skin will love them! Lemon is an excellent clarifier. You can use it as part of a moisturizer for clear, glowing skin. (Apply it sparingly at first in case your skin doesn’t agree with lemon’s acidic qualities.) Lemons are antibacterial, so they can also help treat acne. All you need to do is slice a lemon in half and apply the juice to your face. This can also help with treating blackheads and reducing shine! There’s a reason that sheet masks infused with ginseng sell like hot cakes. This powerful herb can make your skin glow, tighten, and help reduce the appearance of aging. It’s also a well-known anti-inflammatory, so it can aid in easing rosacea and other issues related to inflammation. As if all that wasn’t magical enough on its own, ginseng is also great at balancing out oily skin. Most of us know ginger as the ingredient we turn to when we have an upset stomach. While ginger is certainly fantastic when facing a cold or the flu, it’s also wonderful for your skin. Ginger’s antioxidant and anti-inflammatory properties don’t just heal on the inside—they can also make your hair and skin look fantastic. Ginger juice is a great tool for easing scars that are lighter than the rest of your skin tone. You can also apply ginger as a face mask to prevent aging and protect against free radicals. Another incredible anti-inflammatory and antioxidant, the goji berry is your best friend when it comes to quality skin health. Goji berries can help make wrinkles fade or disappear, can help reduce the appearance of scars, and can infuse your skin with nutrients to help it remain healthy. 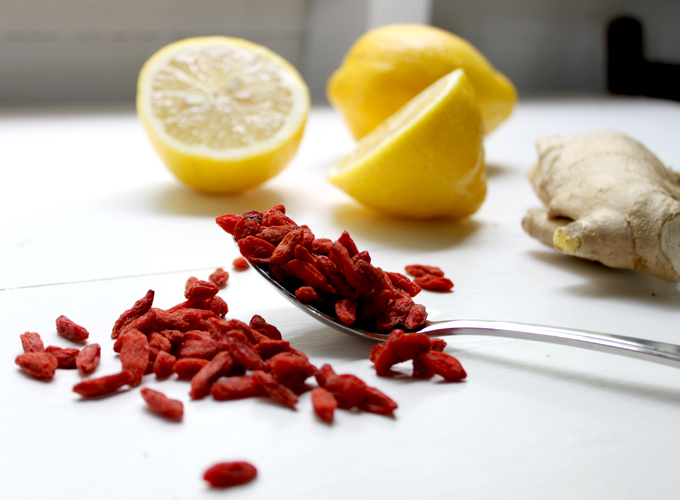 As if that weren’t enough, goji berries can also help minimize acne and skin damage, protect against free radicals, and help keep your skin hydrated. Honey is one of the most common and easy to access ingredients in any DIY face mask. It can leave your skin with a satisfying glow, help ease the signs of aging, and open up your pores. 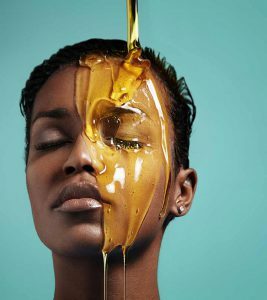 When you remove a honey mask, you’ll feel extremely moisturized, and it’s easy to see why—honey’s antibacterial and antioxidant properties are tough to top. Lavender smells amazing, and as anyone who loves aromatherapy knows, it’s excellent in aiding with sleep and relaxation. That said, lavender is also a wonderful way to add a bit of calm to your skincare routine. Lavender is a fantastic detoxifier and can also protect skin against bacteria. Lavender essential oil is also a good option for managing acne in a natural way. Lavender oil is highly concentrated, so just a small amount applied to the area can do the trick. (Be sure to conduct a patch test first to ensure you’re not allergic to the oil.) If you’ve got eczema, psoriasis, or other skin conditions, you just might love the relief lavender oil provides. It can help with itching and inflammation. You may also want to try adding a tiny amount of lavender to your regular moisturizer. Nature is full of nourishing treats for our skin. The next time you’re in need of a new beauty product, look no further than your backyard!